There are two types of time bars – a ten-year time bar and a three-year time bar. Originally, as a part of 1996’s IIRAIRA or the Immigration Reform and Immigrant Responsibility Act, they were created and incorporated into the INA or Immigration and Nationality Act, section 212(a)(9)(B). Imposed by this statute is the re-entry bars on non-American citizens that have what is considered “unlawful presence” within the USA – exit the country – but then wish to lawfully re-enter. The term “unlawful presence” is one of art and is not, at least within regulations or the statute, specifically defined. That said, the USCIS or United States Citizen and Immigration Services Adjudicator’s Field Marshal does include determining guidance as to exactly at what time the person that is not a citizen is considered to have unlawful presence. In general, if, without inspection, an immigrant enters the United States, or if they stay longer than the authorized admission, that person is said to now have an unlawful presence. Non-citizens that build up less than 365 days, but greater than 180 days, of unlawful presence will be forbidden from reentering or being readmitted to the US for three years. If they accrue unlawful presence for over one year, for the next 10 years, they are barred. 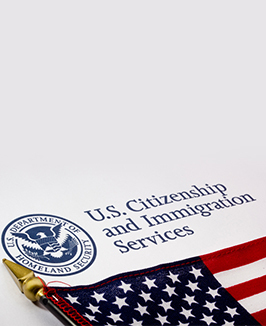 It is taken for granted by many Americans that if a United States citizen marries an immigrant (or has another kind of family relationship) that the immigrant is automatically entitled to a green card or permanent residence within the United States. There are, however, barriers (including the 10-year and three-year time bars) delaying or preventing said family members from becoming permanent, lawful residents – even if they are currently in the US.